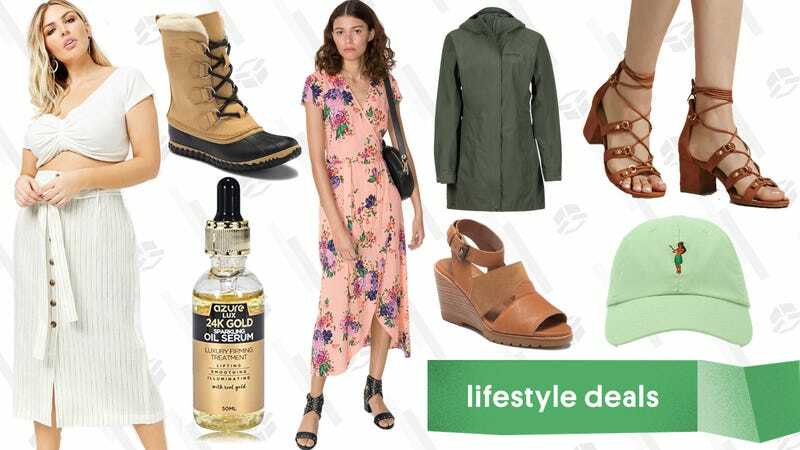 Sorel at Nordstrom Rack, extra discounts from Marmot, a huge & Other Stories sale, and more lead Tuesday’s best lifestyle deals. Serums don’t need to be expensive to work. Use the code OILSSAVE70 at checkout and pick up either a 25k Gold or Rose Gold serum for just $8. Tarte Cosmetics is one of those brands that is always in my makeup bag. Right now, they’re giving you 25% off practically their entire website (besides Shape Tape, naturally). Everything from palettes to lip colors to highlighters, it’s basically a makeup free-for-all. If the name & Other Stories doesn’t ring a bell, get ready for a wardrobe intervention. The brand is H&M’s sophisticated sister, and right now, they’re marking down hundreds of items up to 70% off, from clothing, to candles, to their stellar beauty products. Pick up styles for every season for as low as $5. Sorel is one of your favorite winter boot brands, and the Tofino was the one to beat. And if you were in dire need of a new pair for the impeding season, their sale at Nordstrom Rack is here for you. Grab some better-looking boots, for men, women, and kids, at up to 50% off. Forever21 has been a purveyor of incredibly affordable fast-fashion for years, but they’ve really stepped up their game in terms of trends. Right now, they’re also taking an extra 40% off sale styles with the code EXTRA40, so those pieces you only bring on vacation or where a couple times before donating just got even more affordable. At this point, it’s continuously warm enough to hike (though sometimes a little too warm), and Marmot is thinking about getting you geared up and outside for less. Right now, Marmot is taking 50% off all of last year’s gear, plus you can use the code SAVE20 and get an extra 20% off at checkout. Plan your next camping trip accordingly. It’s the perfect time to plan for a a big run (or finish off training for an upcoming race). Nike has the perfect sale for those of us that need to update their workout wardrobe, because god knows how long you’ve had those leggings or basketball shorts for. For the next few days, they’re taking an extra 20% off almost 1,300 sale styles for men, women, and kidswith promo code HOT20. Everything from running tights to sneakers to sports bras is included. 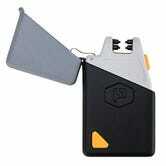 We covered the Sparkr Mini here, and now you can get the 2.0 version of the lighter for $20 today, down from its usual $30. That’s a few bucks more than some other electric lighters we’ve seen, but the Sparkr Mini is one of the most compact models out there, featuring two criss-crossing arcs for a more reliable spark, a built-in flashlight, and a fiddle-friendly flip top. Store more things with these discounted rolling sets of drawers from Woot. You can take your pick between several sizes and two colors, white and black. Outside of just clothes storage, these could be used for organizing stuff in your bathroom, craft or office supplies, and more. All the pieces feature minimalist cutout drawer pulls instead of knobs, which also means you’ll be less likely to damage doorways when you’re rolling in between rooms. This sale will only last through the end of the day or until the products sell out, so don’t let this deal roll away. Recent winner of our sheet set co-op, Target’s already-affordable Threshold sheets just got even cheaper. Want to make smoothies, but don’t have much kitchen space? Ninja’s Fit is about as small as blenders come, and it’s just $35 at Walmart today. For context, Amazon sells refurbs for $10 more. It won’t keep ice frozen as long as a YETI or RTIC, but this soft Ozark Trail cooler can hold 36 cans plus ice, has two built-in bottle openers, and is perfect for a tailgate or day at the beach. The green model (pictured above) is currently priced at $29, compared to $49 for the other colors, so grab this deal before it melts. 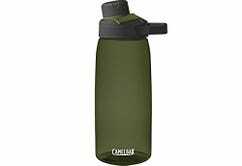 Treat yourself to a new water bottle with these discounts on CamelBak Chute bottles. The wide mouth makes them easier to drink out of, but like all CamelBak bottles, they won’t leak. This sale includes two 32 oz bottles and one 25 oz for just $7. 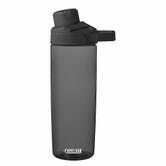 Just note, the 25 oz is an Add-on item, so it needs to ship with a larger order. 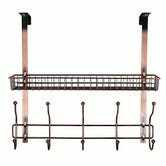 Take advantage of every available inch of your bedroom or bathroom with this over the door organizer. On top of the usual hooks, it has a little basket, so you can hold a few small non-hook-friendly things too. After the $2 off coupon, this thing is just $19 and comes in a nice bronze color. I love ban.do. It’s just the right amount of kitsch mixed with utilitarian pieces that will make your desk look better, and probably in turn make you work better. Right now, they’re taking 10% off all their planners, plus 25% off accessories for those planners and your desk. Get organized and look good doing it. That said, you can plug in the streaming dongle of your choice into the Mars Lite’s HDMI port, and achieve the same ends with just a little bit of extra fussing. 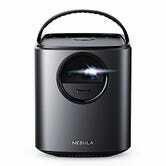 It’s certainly a worthwhile trade-off when you can get the added brightness and picture quality for just $280 with promo code MARSJULY, or $120 less than usual. 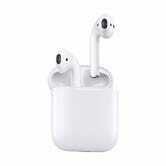 For a long time, Apple’s AirPods were hard to find in stock. Now, Amazon not only has them available with Prime shipping, they’re actually about $15 off today. Needless to say, these don’t go on sale often, so if they’ve been on your wishlist, you should pull the trigger. I’ve had mine since they launched, and they’re my favorite Apple product since the iPhone 4.